Goods Digital Passport helps stop criminals on their way, literally, by tracking products using blockchain technology. This innovative function creates an inseparable, verifiable, decentralized digital chain between the product and its origin. For example, if the Regent Street store designated its products as a “Digital Goods Passport” consisting of a unique QR code and a hash-binding with a binding to the coat, all these elements will be easily traced. This means that if a criminal attempted to sell stolen goods, anyone willing to purchase this item could easily learn its origin with GDP and could view this information, and also know the actual owner through a unique QR code. The registration of items is simple and can save thousands of sellers, even millions of dollars a year. In addition, criminals are more likely to be restrained if they know that any given store uses this type of technology. as fakes, the problem affects you far beyond the purchase, and into every facet of the sale. 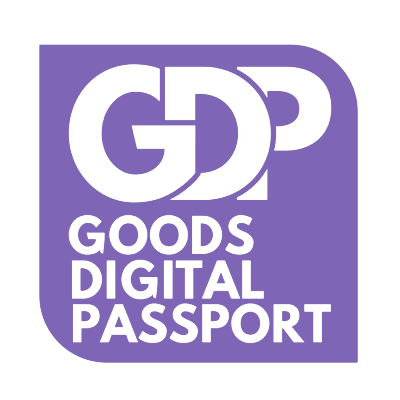 The Goods Digital Passport is the start of an eco-system, which will not only look to have a significant impact on counterfeit goods, but will allow consumers to understand the products they purchase. Utilizing our suite of applications, consumers will not only be able to store their products using Goods Digital Passport, but also keep track of their collective value using an online wallet. It allows consumers to share their wallet, proving proof of ownership and verifying its value for insurance needs, which will help to speed up claims processes. It will help generate vital footfall into brands’ stores by allowing post registration of products from verified outlets. We also plan on offering a white label function, so brands can incorporate our service directly and efficiently into their own direct-to-consumer paths. It will provide seamless insurance quotes, proof of ownership and accurate values, directly to insurance companies and comparison sites. Providing real time price and part exchange information while enabling people to sell their products directly onto the marketplace. Once registered, manufacturers and their authorised agents can register products quickly and easily, via a secure Application Program Interface (API) or Webportal. An authorised goods producers/retailers can also register authorised agents to issue GDP’s on their behalf, either for new or existing products that have authenticated by the agent. verifying the KYC details, they can use the portal. Manufacturer can connect to other agents who buy products from the manufacturer and sell in market. Only manufacturer/admin authorised agents can access the platform. Consumers can register to the system or can be invited by manufacturer/agents while purchasing the product. Only registered agents can register a new product on the GDP platform. 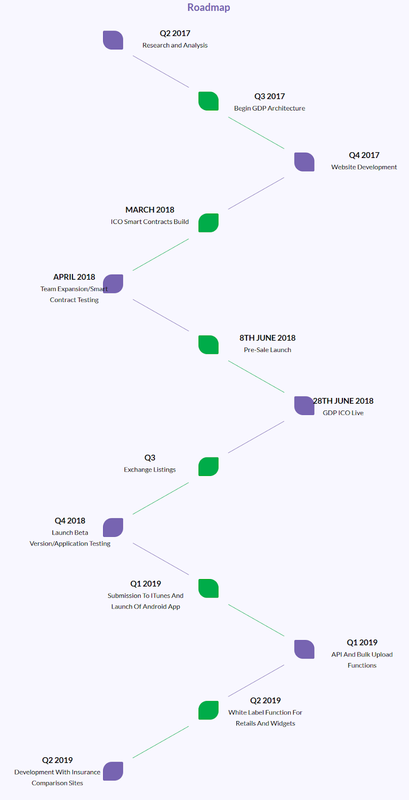 Blockchain smart contract for the product will be created at this stage. This smart contract can hold multiple entities of the same product in batch level or item level. Once the GDP smart contract for the product is created it cannot be modified since it will be deployed on distributed blockchain. When the owner of a product entity sells the product to another consumer, old owner can invite new owner to join the platform, and after successful registration of new owner, old owner can transfer the ownership to the new owner. After that, old owner can only see product information using QR code. New owner can update the template of what information of the product to allow on QR code linked webpage. Owner shares information of the product to insurance companies to prove ownership of the product as well as to prove that he owns product from genuine origin. Since we are creating a separate smart contract for each product having multiple entities, we can also share link of standard ethereum network explorer like etherscan to verify the product origin, authenticity & ownership on decentralised blockchain network.